I have a project with both Java og Groovy classes. The editor treats everything properly, with auto complete, etc. The project's JDK is an intelliJ SDK. The project is a plugin-project. The class throwing the compile error is a java class. 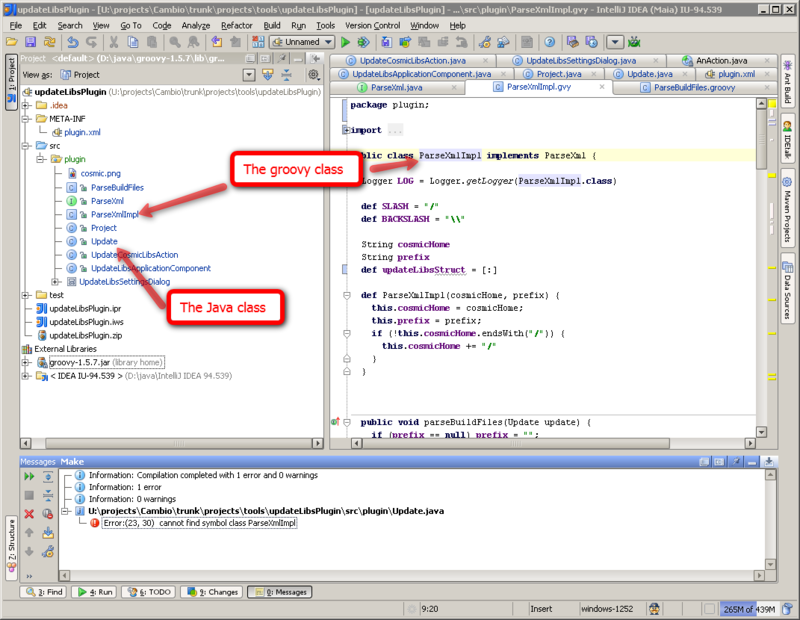 The referenced class is the groovy class. Both classes are in the same package. When I look in the "out" directory, there's no trace of the groovy class, so the compiler error is a proper error. How do I trigger the compile of the groovy class?! ?